One of the attractions of a cruise is the ability to experience new places and activities off the ship. On our recent Mediterranean cruise aboard the Disney Magic, we spent a wonderful day exploring the French Riviera with a Disney Port Adventure. After a 30 minute bus tour traveling the Corniche Road from Villefranche to Nice, we arrived in the old town and had the opportunity to explore on our own. Many people visited the antiques street market, but I decided to take the kids down to the beach and pick up some of the beautiful stones that had washed ashore. The views from the Corniche Road were breathtaking and walking along the Mediterranean was inspiring, but the main reason that we chose the tour was the promise of a wine tasting. The famous Promenade des Anglais was indeed as beautiful as I hoped it would be and I couldn’t help but dream what it must be like to live among the rich and famous who make the French Riviera their home. The Italian and French influences mingled in a rich tapestry of buildings and parks and my children frolicked in the fountains and played in one of the neatest playgrounds we’ve run across in our travels, the Promenade du Paillon marine playground. 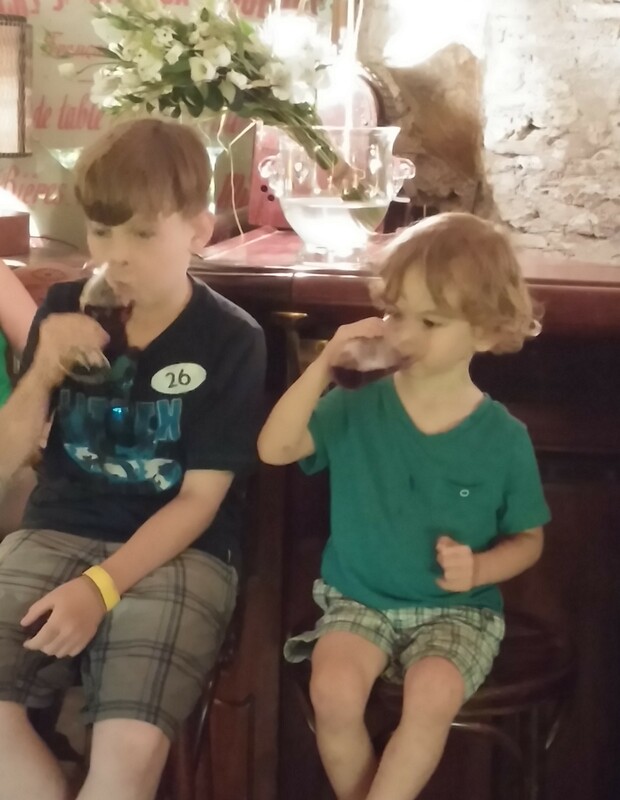 But the main reason that we chose the tour was the promise of a wine tasting. Nice was not our final destination; after two hours in the beautiful city, we were back on the Corniche Road to the cliff-top village of Eze. I did not envy the bus driver as he attempted to squeeze around other motorists and made his way through tunnels and the beautiful curves of the old French roads. Eze and Nice were both beautiful and I could have spent an entire week taking in the beauty of both old and new. We felt like we’d been thrown back in time as we climbed the narrow, twisting, cobblestone pathways to the exotic garden of Eze and peered out over the azure sea. As for the wine itself, it was fantastic. 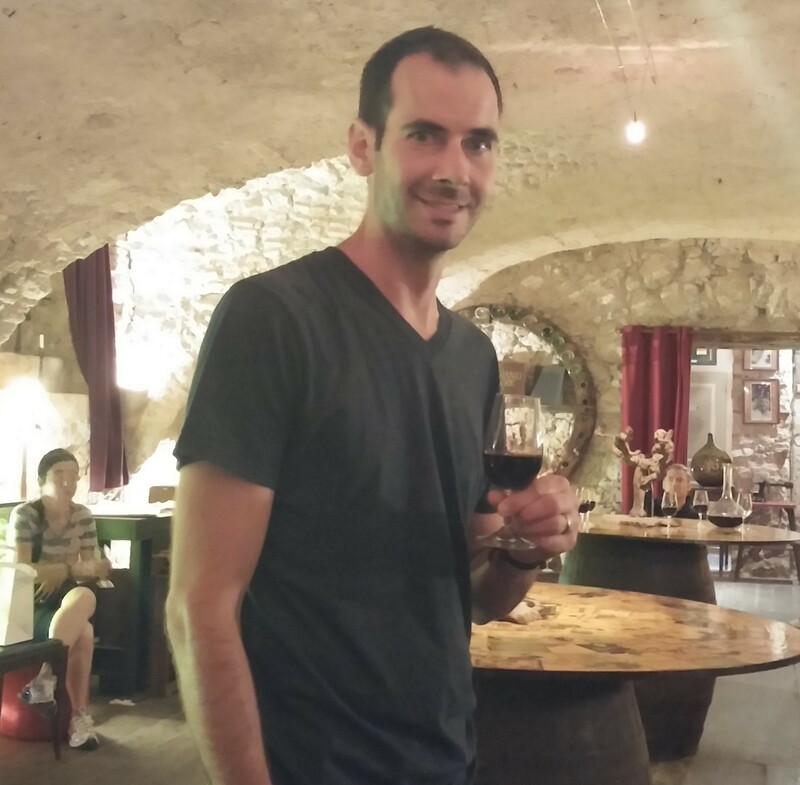 I usually am a whiskey and beer kind of guy, but I felt like a wine expert as I tasted each wine before me. (True wine experts may not find the tasting as interesting, since it takes a “wine for the masses” approach). The trip to the French Riviera was one of the highlights of the trip and I can’t sing the praises of Cave Bianchi enough. Anyone that is a lover of wine or simply loves a good time will enjoy a wine tasting at this beautiful and interesting location. Disclosure: I was offered this Port Adventure from Disney Cruise as a gift. Even though the adventure was a gift, the words in this post are my own.